Well worth a look if you’re after epic fuzz. The manufacturer describes this as a ‘velcro’ type fuzz, and it’s true with the tone rolled up and the fuzz on full, but it shines with the tone somewhere further down with squishy, choked-off sustain allowing for high-volume stoner riffage without unwanted feedback. 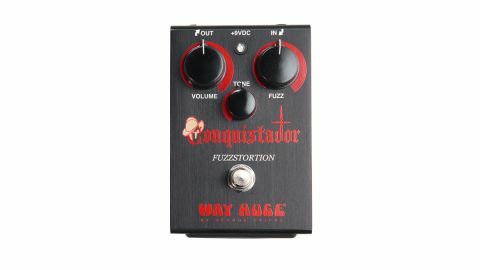 It’s labelled a fuzzstortion (a nod to fuzzes descended from the Big Muff) and it also boasts top footswitch actuation. Its only drawback is that the gating is non-negotiable, and when you want to let rip, you’ll have to switch to a different pedal with more sustain.